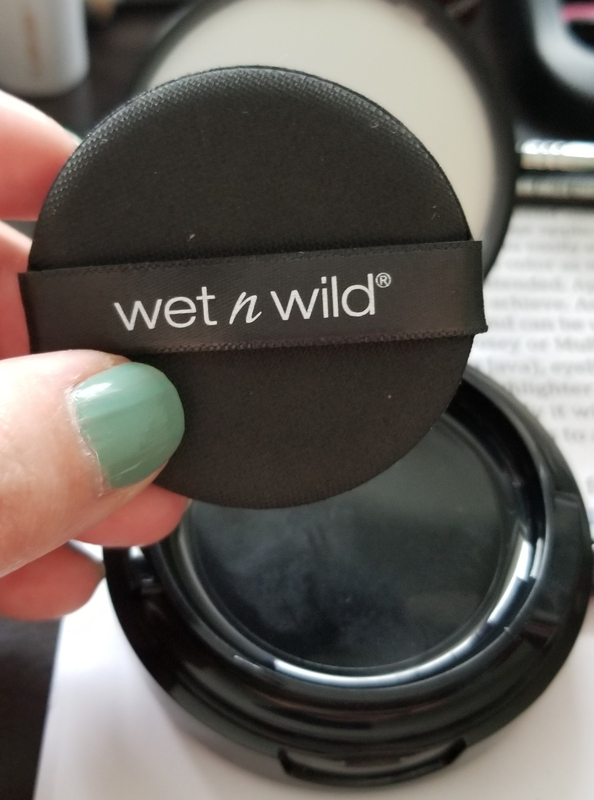 So if you’ve read my blog for any length of time you know that I love Wet ‘n Wild. LOVE IT. I can count the number of products I haven’t liked on one hand. If you’re interested in those, and some things that I love, I posted about it back in the day (meaning like six whole months ago). 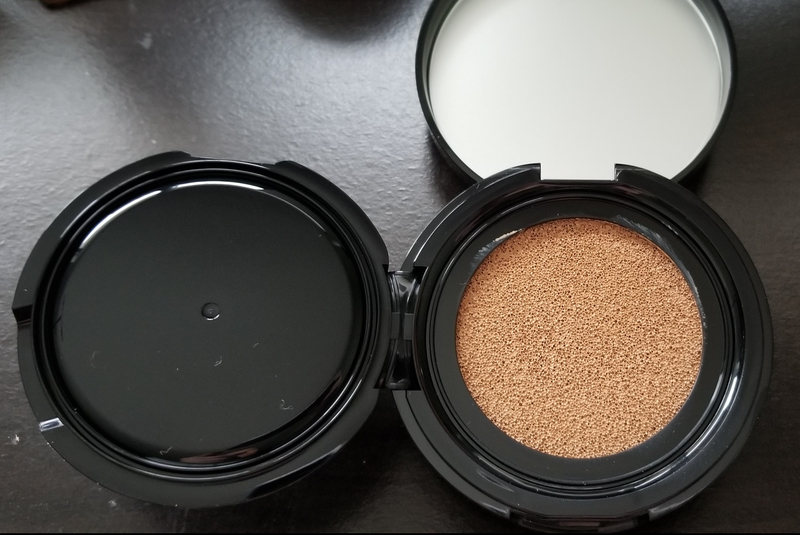 Given my love for this brand, I was super stoked when I found out they’d be releasing a cushion foundation. I’m not a huge cushion foundation fan, being that they’re more hydrating and dewy which doesn’t really work with my oily skin, but how could a version from such a good brand not be good? At least that was my logic. I don’t know. It wouldn’t be the first time that I bought something with high hopes because of the brand and was terribly disappointed. Anyway, this is a standard cushion compact with a little sponge on top of a plastic flippy cover over the actual cushion with the product. It looks really dark in the package but it’s actually almost a perfect color match for my skin. I used the included sponge to apply it. I don’t know if it’s true, but I’ve heard and read that this type of product applies better when you use the applicator that’s included. 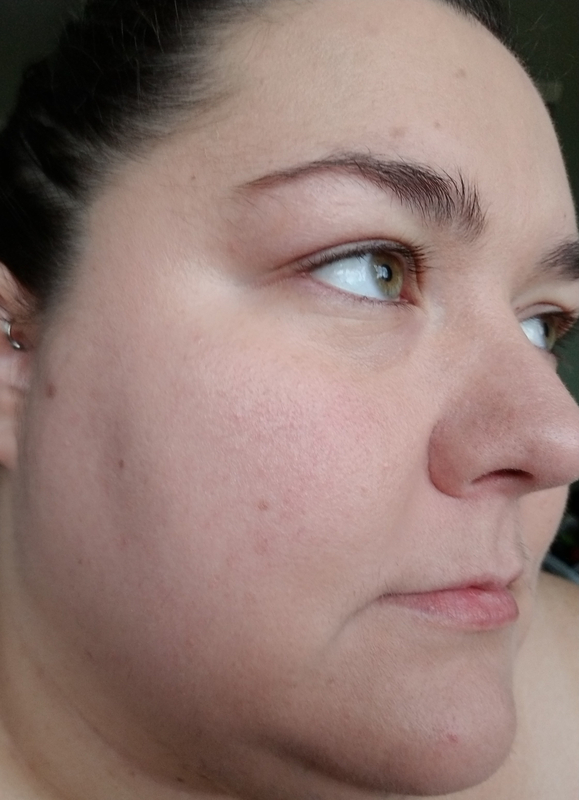 I’ve tried other cushion products with brushes and it worked out poorly. The coverage is light but can be built up to medium. I don’t think you’ll ever get full coverage out of this, but that’s ok with me. I’m not a fan of or in need of a full coverage foundation. Pros: The finish of this foundation is beautiful. 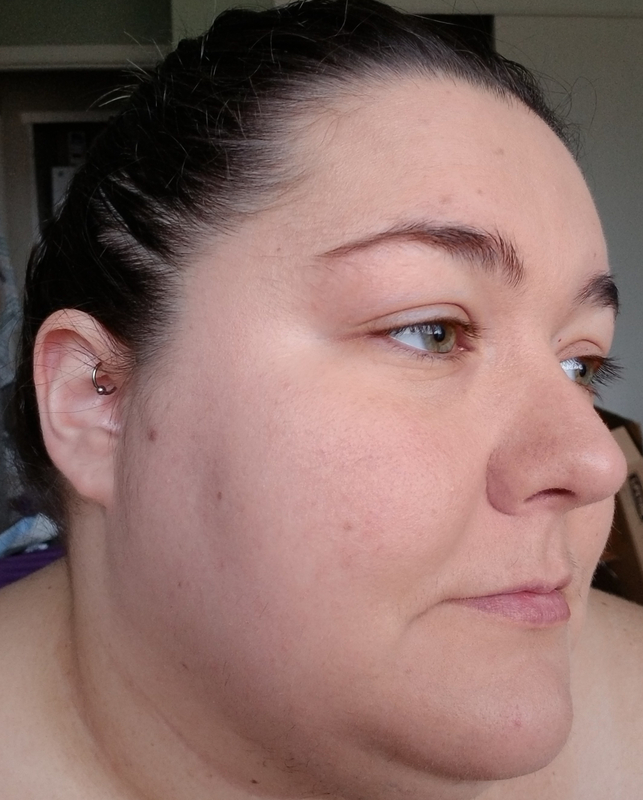 It’s dewy but I didn’t look oily or too shiny. It lasted through a family event where I was hot and hugging people and snuggling a baby and still looked good at the end of the night. It didn’t break down or cling to dry patches. It doesn’t smell like anything. It has a touch of SPF. Also, the price; this stuff is $8.99! The Maybelline cushion foundation is $14.99, and the one from L’Oreal is $16.99. Those are the only two drug store cushion foundations, so if you’re a fan of the formula it’s these or spending $35+ on the Lancome, Philosophy or IT Cosmetics versions. Cons: You don’t get much product in a cushion foundation. This isn’t specific to this product but cushion products in general; you get about half the amount of product for the same, or in some cases higher, price. It could be argued that you don’t use as much, but if you want to build this up to medium coverage you’ll be using kind of a lot. These also dry out really quickly. Again, not specific to this but cushions in general. I honestly don’t really have any cons about this product in particular. If you like cushion foundations definitely give this a shot. What’s the appeal of cushion foundation? I see it all the time but haven’t brought myself to take the plunge. For me, the appeal is mainly convenience. Cushions are easy to travel with because they’re compact and less likely to break than a bottle of foundation. Also on the days when I don’t have time to do my makeup at home I can toss the cushion in my bag and run out the door. I use this every day and I find it to be awesome for me. I love Wet n Wild too! Will have to give this a try.